The Kent Literary Club of Wesleyan University at Middletown (KLC), the Gamma Phi Chapter of DKE at Wesleyan (DKE), Zac Cuzner ’17, and Tucker Ingraham ’17 filed a lawsuit in the Middletown Superior Court on February 19, 2015. The University, University President Michael Roth, and Vice President for Student Affairs Michael Whaley are named as defendants in this suit. Documents from the case, “Kent Literary Club et. al v. Wesleyan University et. al.,” are available online, and both parties finished their arguments and submitted evidence last week. Now, a judge will take up to 120 days (from the time respective briefs were submitted on Wednesday, April 29) to decide the case. The Argus looked through both parties’ documents to summarize their arguments in anticipation of the final decision. 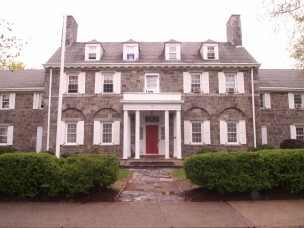 KLC owns DKE House at 276 High Street; Cuzner and Ingraham are two University students who currently live in DKE House. DKE filed for a temporary injunction “to preserve the status quo until the rights of the parties can be finally determined after a hearing on the merits.” Doing so would allow DKE members to continue residing in their house and allow KLC to collect rents from residents. The plaintiffs argue in their complaint that the fraternity (restricted to males only under the terms of its Constitution) has existed on campus since 1867, and has been used for social functions and to serve as housing for members, while the University has recognized DKE as a “traditional social organization with historic roots.” They argue that the University has and continues to use DKE and its house to recruit student-athletes, who make up a large portion of DKE’s membership. According to their memorandum (“Memorandum In Suport of Application for Temporary Injunction,” filed 2/19/15), the plaintiffs argue that Wesleyan advertises its “diversity of housing options” for undergraduates, including DKE House among its Program Housing choices. According to some current residents, they were told on their overnight tours of the University that they would be provided the opportunity to live in DKE if they chose to. In a later brief (“Plaintiff’s Post-Hearing Brief,” filed 4/29/15), the plaintiffs argued that the student-plaintiffs signed housing agreements after they had decided to attend Wesleyan based “in whole or in part” on Wesleyan’s advertisement of the availability of residential fraternity housing. The brief cites “Guckenberger v. Boston Univ.” (974 F. Supp. 106, 1997), in which a court found that the promises made to students by Boston University in catalogs and brochures constituted an “enforceable contractual agreement.” Wesleyan’s promises during student-athlete recruitment that DKE House would be available for residence, then, could be understood as imposing a contractual obligation on Wesleyan. House managers and existing residents of program houses review applications and select residents based on criteria developed by members. The plaintiffs argue in their memorandum that Wesleyan encourages and permits selection of residents “based on characteristics such as gender, ethnicity, religion, sexual orientation and other protected class characteristics.” They list Turath House, Open House, Womanist House, Woman of Color House, and others as examples of allowed Program Houses. When Wesleyan informed DKE and KLC that the residential fraternity must become “fully co-educational over the next three years,” it understood that DKE was not permitted under its charter to permit female undergraduates to become members. After its original notice, Wesleyan informed the plaintiffs that it would permit KLC to offer Program Housing if it permitted female non-members to reside and participate in co-educational programs in its house. DKE and KLC argue that they met “all of Wesleyan’s reasonable requirements” for including women in DKE program housing by attempting discussions for a housing agreement with the Rho Epsilon sorority. Because Wesleyan refused to define “fully coeducate” until the end of November, DKE informed Wesleyan it could not commit to doing so within three years. Beyond the injunction, the plaintiffs argue they have no legal means of appealing or challenging Wesleyan’s decision to deny DKE House the status of Program House for 2015-2016. KLC argues that it will suffer irreparable harm from the interference with its use of its property as a fraternity house. By rejecting DKE and KLC’s “good faith” attempt to comply with Wesleyan’s mandate, the University stripped student members of their “rights to on-campus housing,” and denied KLC of the annual rental income to which it is entitled as property owner and requires for upkeep and maintenance of the house. The memorandum argues that Wesleyan “engaged in bad faith negotiations with KLC,” and its actions do not align with its mission to promote an “inclusive” community. The plaintiffs claim they are entitled to injunctive relief as the defendants “made clear and definite promises” to both the students and fraternity, which they argue must be enforced. The plaintiffs suggest that the court must consider whether the harm likely to occur to the defendants in the case of a granted injunction will be greater or less than the harm likely to occur to the plaintiffs in the case of a denied injunction. Wesleyan claimed in a later brief (“Defendants’ Post-Hearing Brief In Opposition To Plaintiffs’ Application For A Temporary Injunction,” filed 4/29/15) that DKE members failed to “satisfy their heavy burden” in seeking to force Wesleyan to rescind its suspension of DKE’s housing status. As DKE could not establish any breach of contract or misrepresentation by Wesleyan, as set forth in the Greek Organization Standards Agreement (between Wesleyan and DKE) and the Housing Contract (between Wesleyan and all undergraduates), the defense concluded that the Court should deny the plaintiff’s application for a temporary injunction. Wesleyan announced in September 2014, “as a result of concerns regarding gender equality and, to a lesser extent, events involving fraternities both at Wesleyan and across the country,” residential fraternities would need to coeducate within three years and submit plans for co-education by the end of the fall 2014 semester. The plaintiffs did not submit a plan by the end-of-semester deadline, after which Wesleyan extended the deadline to January 5, 2015. Wesleyan terminated its agreement with DKE on February 13, 2015, but because of the Standards Agreement’s “without cause provision,” the defense argues that the reasons for that termination are “immaterial.” DKE, then, has no right to house Wesleyan undergraduates in exemption of that policy. Asking the courts for an injunction means that DKE is asking the Court to renew its agreement, which was terminated “in accordance with its unambiguous terms.” Wesleyan cited the 1996 case “Herbert S. Newman & Partners, P.C. v. CFC Constr. Ltd. P ’Ship” (236 Conn. 750, 759-60) to argue that in “private disputes, a court must enforce the contract as drafted by the parties,” and they cannot rewrite the contracts. Wesleyan argued that the correspondence between DKE and Wesleyan does not reflect “a meeting of the minds” regarding program housing, as is required for a contractual promise. Rather, the email showed a back-and-forth and no “consummated agreement” separate from the Standards Agreement. 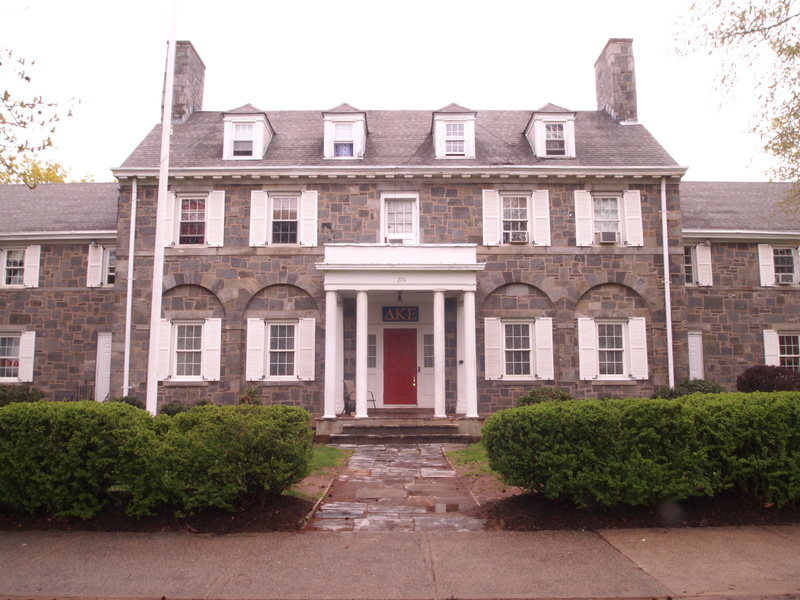 Wesleyan never made an unconditional offer to include DKE House in program housing for 2015-2016, and DKE was required to meet coeducation requirements in order for that Standards Agreement to be renewed for the next year. The defense challenged DKE’s plan submission as not meeting proper standards for coeducation, as it rejected Wesleyan’s right to require coeducation in the first place. Rather, its proposed arrangement would have “separate locked entrances and exits” for men and women. This, Wesleyan argued, “raised obvious questions about full and equal access to common areas.” The University responded with questions and conditions about this plan that had to be met in order for DKE to be even considered for program housing. They claim that DKE did not provide a necessary timeline for its plan to partner with the Rho Epsilon sorority. Whaley wrote to DKE that the sorority had expressed concerns that the co-housing plan would need further communication. Wesleyan argued its co-education policy does not violate CUPTA, as DKE alleged, because the policy prevents the fraternity to discriminate against women as residents of DKE House is consistent with state and federal law requiring gender equality and prohibiting discrimination. Their memorandum also denies that the suspension of program housing count as “interference with business expentancies,” as the plaintiffs claim. DKE may still submit a written plan by the end of the Fall 2015 term to re-join program housing for the 2016-17 year. Thanks for this detailed summary but why wasn’t there a detailed analysis for the other Wesleyan lawsuit this year? This more than validates my decision at graduation a decade ago to never donate a cent to this institution. Wow. “Conform or be cast out”, eh, Wesleyan?